Atkins Diet Recipes – Delicious and Nutritious! Atkins diet recipes have been developed through years of careful research and taste-testing to make sure they fit two criteria: they are delicious and nutritious. Nobody knew better than Dr. Atkins how important it was to provide dining options that were not only healthy but flavorful. If not, people like you and me trying to follow the Atkins program would soon lose interest and stop. To solve the problem of the limited food list with Atkins (especially the foods you can eat during the Induction Phase), Dr. Atkins and his followers have come up with literally thousands of great recipes that use acceptable foods in unique and enjoyable ways. Many of these taste like gourmet meals instead of diet menus. 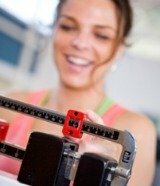 Visit some websites on low carb dieting and you’ll find thousands of Atkins Diet recipes or some variations. Some of these are available by subscription, others you can download for free. It depends on how many recipes you want and which site seems to offer the best recipes for your particular taste. I’ve found that almost every site offers a wide range of recipes that are easy to follow and taste great. You can also get a nice cross-section of recipes when you buy a copy of Dr. Atkins' New Diet Revolution. If you invest in his book, you’ll find not only recipes but cooking tips and substitutions you can use for your own favorite recipes that might not traditionally fit the Atkins Diet plan. To get you started, try this free Atkins Diet recipe for a tasty chicken salad – I love it piled onto some leaf lettuce and served with a side of sliced tomatoes drizzled with vinaigrette. Cut chicken into strips. Mix other ingredients in a large bowl. Add chicken and toss well to combine ingredients and serve chilled. I like the extra crunch the pecans give to this flavorful salad! After you’ve tried this chicken salad, you won’t want to eat any other kind. Warm your tortillas. Add the oil to a skillet over medium heat, then add your red pepper and scallion until soft (about 2-3 minutes). Whisk in your eggs, add your salt, pepper and hot pepper flakes and cook until done (about 2 minutes more). Place your finished eggs inside your warm tortilla, roll them up and you're ready to eat! Add salsa or hot sauce to ramp up the flavor a bit. Other delicious Atkins diet recipes you can find on low carb web sites include dishes like Spaghetti Squash with Garlic-Sage Cream, Duck Breasts with Blackberry-Wine Sauce, and Two-Step Chili. 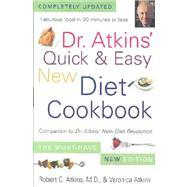 Many sites that offer Dr. Atkins Diet recipes and cookbooks also provide a list of pantry ingredients that can help you enhance your cooking without “falling off the wagon.” I always keep reduced-sodium broths (beef, chicken and veggie) on hand to use as a base for soups and stews. Sun-dried tomatoes are also a staple that I toss into vegetable dishes to add extra flavor and texture. My favorite, though, is cornmeal. This low-carb ingredient can be used as a thickener for sauces and gravies and is a great way to coat things for a nice, crispy texture on fried foods.